Earners of this badge, can speak directly to patients in a medical setting in their target language. Earners can now deliver quality patient services for patients with Limited English Proficiency (LEP) without the presence of a qualified interpreter. 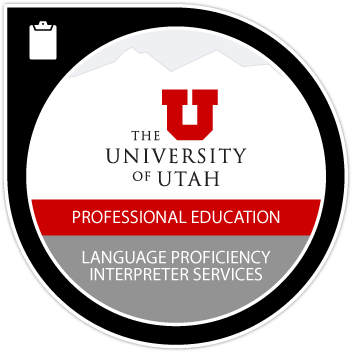 Earners have meet minimum language requirements to enroll in Bridging the Gap (interpreter skills course). Successfully complete language proficiency evaluation exam with at least 70% pass rate. Exam includes sight translation, grammar check, reading comprehension and medical vocabulary sections.